Shrouded with mysticism and mystery, Jun tea is a fermented tonic made of green tea and honey. While Kombucha tea lines the shelves of natural foods markets, both small and large, Jun tea is still relatively unknown – secreted away and held quiet. Recently, I visited my close friends Hannah Crum and Alex from Kombucha Kamp, a resource for Kombucha and kefir enthusiasts all over the world, and tucked away she held a jar full of Jun cultures. Curious about what has been called the “champagne of Kombuchas,” I asked her for a culture, and she dutifully packed one for me to take home and nurture so that I might begin preparing Jun, too. Since that time, I’ve fallen in love with Jun tea. While I still love my continuous brew Kombucha, there’s a lovely delicacy to Jun tea that Kombucha lacks. Where Kombucha is forceful, Jun is soft. Where Kombucha is dark, Jun is light. At once they oppose each other, yet they are also very alike. Jun tea is shielded behind a veil of secrecy, myth, mysticism and mystery. For many brewers, Jun tea is more than a probiotic tonic of green tea and honey; rather, it’s an ancient spiritual elixir. Some brewers take their Jun tea so seriously that they play music to it and meditate with it as it brews (I’m not kidding). The oft-repeated legend of Jun cites its origins as the Himalayas, where it is brewed by monks and spiritual warrior nomads who roam the high grasslands of Tibet, or so the stories go. And the stories are repeated, and repeated, and Jun continues to be a secret thing, enveloped in mystery and mysticism. While stories about the sacred elixir of Jun are handed from person to person, there’s little concrete and verifiable information about the history or origins of Jun tea. Eager to learn something, even a little bit, more than internet myth, I took to my books, and again, I found nothing about Jun. A scholarly book on Himalayan ferments reveals no results for Jun, and another on worldwide ferments also reveals nothing about Jun. Further, I live in a high mountain community with many immigrants from Nepal and Tibet, and when I asked them about Jun, they had no idea what I was talking about. That’s neither here nor there, for they had no frame of reference for kombucha either. The lack of credible information on Jun leads me to the conclusion that it is a relatively recent divergence from the Kombucha family tree. Some websites claim that it comes from Tibet, where it has been made for 1,000 years; unfortunately, books on Tibetan food, and even a specialized book on Himalayan ferments, contain no mention of it. Whether or not it has a 1,000-year-old history, it is quite delicious. The oft-repeated mystical lore that surrounds Jun leaves me to wonder, why do we need the justification of “sacredness” to enjoy what is, quite simply, a beautiful and delicate drink? So, if Jun tea has unreliable origins, you might wonder just how it differs from kombucha, if it really does differ and why it’s worth brewing at all. Whether Jun tea is a new divergence from Kombucha, as Sandor Katz posits, or if the myth and lore is true and it really is a 1,000-year old ferment, the simple truth is this: Jun differs from Kombucha in several key ways just as Matsoni, a type of room temperature yogurt, differs from Viili and Piima, and other types of room-temperature yogurt. Jun tea ferments best in green tea sweetened by honey. Kombucha tea ferments best in black tea sweetened by sugar. Indeed, having tasted both Jun and Kombucha tea made with green tea and honey, there’s a distinct difference in flavor profile between the two. Jun is delicate and not as concretely sour as Kombucha (even kombucha brewed with green tea and honey). In addition to both a difference in substrate and flavor, Jun typically completes its fermentation cycle faster than does Kombucha. It reproduces daughter cultures with less reliability than Kombucha, and it ferments best at a lower temperature than Kombucha does – making Jun ideal for cool kitchens like mine that otherwise must rely on a heating pad to brew kombucha most effectively. To make Jun tea, you simply prepare a green tea, sweeten it with honey, and allow it to cool to room temperature before stirring in the Jun mother culture and a bit of prepared Jun tea (both of which you can find here). Allow this to sit, lightly covered with a tea towel to keep out stray debris, about 3 days before pouring into individual flip-top bottles (available here) for a secondary fermentation which will set Jun’s characteristic fizziness. Jun tea is still relatively rare and unknown. Jun mother cultures also do not reliably produce daughter cultures like Kombucha does. You can purchase authentic Jun cultures online (mine is from Kombucha Kamp and you can find them here), or if you’re lucky enough to know someone who brews Jun, he or she may gift a daughter culture to you. Jun tea, like kombucha, is an effervescent probiotic drink. Jun is mild and delicate with a pleasantly tart flavor and a mild sweetness. It's lovely served over ice, or with crushed berries stirred in. To brew future batches of Jun tea, reserve ½ cup of the finished tea from your first batch and reserve the mother to start future batches of the tea. Bring water to 165 F in a kettle. While the water comes to temperature, sprinkle the looseleaf green tea into a large jar or pitcher. Pour the hot water over the tea and allow it to steep for 2 minutes. Strain the tea through a fine-mesh sieve into your fermentation vessel (I use this one.). Pour in the honey, and stir it until it dissolves completely in the tea. Allow the tea to cool to room temperature, 65 to 75 F, then dump the Jun culture into the jar and pour in the Jun tea. Allow the tea to ferment for 3 days at room temperature. After three days, the Jun tea should smell pleasantly sour and faintly sweet. Carefully remove the Jun culture and ½ cup Jun tea from the top of the jar, and dump them into a waiting jar. The Jun culture and tea are now ready for you to prepare a second batch of Jun. Pour the remaining Jun tea into 4 pint-sized flip-top bottles (available here, seal the bottles tightly and allow the Jun to ferment a second time for 2 to 3 days. After 2 to 3 days, your Jun tea is ready to drink. Place the bottles in the refrigerator to chill, or serve the Jun right away. Keep in mind that, like kombucha, Jun will fizz and foam when you open the bottles, so take care to open them over a sink. well, does anyone in Europe have Jun Mother Culture? Kombucha is too strong for me, I think Jun will please me more. Have you found JUN in Europe? I am due over in Sept/Oct and can bring one for you. Hi Misty, did you ever bring any Jun over to Europe? I’m in Norway and I would love to begin brewing Jun. If anyone else has a Jun connection in Norway, could you please reply and let me know? THANKS! I was able to convert a kombucha scoby gradually switching from sugar to honey. It took a few weeks but now i make awesome Jun every 3 days. How long does the mother last? Does it need continuous fermentation or can you allow it to sleep (like kefir in the fridge) when on holidays or need a break? Very intriguing, most interesting! The mother will last indefinitely, I believe. It doesn’t require continuous fermentation. If you need to store it, you should store it in a SCOBY hotel. Kombucha and Jun scobys shouldn’t be stored in the refrigerator. It’s a jar filled with sweet tea that you keep scobys in when you’re not actively brewing. It keeps them healthier than keeping them in the fridge. How often do you change the tea in the hotel? Do you make the tea the same as if you are making JUN or is it different? I HARDLY change my tea in Jun hotel and it’s perfectly fine — months and months later when I begin again. Waht is your tea/honey ratio/recipe, for a jun hotel? Hi Jenny, I noticed your recipe does not mention placing the container in a dark, ventilated area as instructed by Kombucha Kamp recipe. I would prefer to leave on the countertop. Is this okay? Works totally fine for me! I’ve been keeping ours on the counter about 5 years. I just cover it (after already covering with a muslin cloth and rubber band to keep bugs, etc… out) with a dark napkin. I have a JUN scoby from a year ago in packaging with a kit but never made it as I have been taking care of a relative and not home much. I am now finally free and was wondering if its still good. I have had it in the refrigerator since April of last year. Hi Cheryl, I recommend tossing it and getting a new one for two reasons: 1) that’s too long for a scoby to be in stasis, and 2) they should never be stored in the fridge. No, you shouldn’t leave your scoby in the fridge as it damages the cultures over time and can leave the scoby prone to molding. How do you know the Jun mother culture is purely a jun mother culture? As in how do you know each strain is exactly as it should be in the mother culture. I am not so interested on how the drinks differ or its made different but on what is actually in it (the important ingrediant: the culture). What is the difference between the Jun Mother Culture and the Kombucha mother culture? You know because you’ve bought a Jun mother from a reputable source. Each SCOBY will have a different variety of bacteria and yeasts, though they’ll all have similar strains in similar ration. Each one is unique, in some respects. And it adapts based on your location, and how you brew it. Jun tends to have more lactobacillus than kombucha, by and large, and has evolved to eat honey. Short of getting the bacteria and yeasts in your SCOBY sequenced, there’s just not much you can do to determine what is in your scoby. I once mixed up my Jun and Kombucha scobys by accident, because I was making the two batches side by side. I thought something was wrong when the scobys sunk to the bottom of their respective containers. Then I switched the scobys; and once the kombucha scoby was in the sugar-sweetened tea, and the Jun scoby was in the honey-sweetened tea, both scobys floated – so I figured they were in the right place. Another observation. I once had a Jun batch that didn’t seem to be fermenting, but it was growing that white yeasty film on the top. I didn’t have any extra Jun, so I added in some vinegar (rather than toss 2.5 gallons) and let it for a few days. Now that the mixture was acidic enough, the white stuff disappeared and the Jun turned out fine. Also I have found that if the environment is not warm enough, I don’t get much fizz. I have started using a heating pad to keep the fermenting Jun warm enough and it’s obviously much happier. When I purchased my jun culture it came in a refrigerated bag with instructions to refrigerate it until use. It was fine. I’ve since refrigerated it for weeks at a time when I’ve gone away, always fine when I return. I think Jun is fine with cold temps. I wouldn’t refrigerate kombucha scobies though, although I know some who do. It is a mistake to refrigerate your Jun, and it was a mistake for the people who sold you your jun to refrigerate it. While you may not notice a. Ha get in the culture, it is negatively affected by refrigeration, and you are more likely to experience problems with the culture (like mold) than had it never been refrigerated. Hi Rob, other sites treat Jun as they do Kombucha, with roughly a week long ferment; however, Jun ferments more quickly, tends to be more alcoholic, and a 3-day ferment is a better approach. That said, the length of time something actually ferments is a matter of personal preference. Never put mother in fridge! Keep in dry dark place. When I first started making Kombucha many years ago I made it using white tea and green tea as well. It is very different from black tea Kombucha, light and delicate. The general consensus in the family was that black was preferred, so I only use it. I personally preferred it with white tea. Can I make my own Jun mother scoby from scratch? I have made a Kombucha scoby and it turned out very nice. Is there a special recipe for it? Hi Annie – The only way to make a Jun mother from scratch would be to purchase unflavored Jun and hope it grows a scoby. Since Jun is not reliably available commercially, especially unflavored Jun, and Jun doesn’t reliably produce daughter cultures, I think you’d be better off just purchasing a scoby if you intend to make it. I’ve heard you can train any scoby to eat honey instead of sugar. You just have to slowly introduce it over many batches. Having said that Jun is not widely commercially available, I need to figure out how to brew with only a Jun scoby (currently en route from komboucha kamp), but no previously brewed Jun. Suggestions? Perhaps just ferment hte first batch longer? I too just ordered my JUN SCOBY from Komboucha kamp, it’s my understanding that it will be in enough completed JUN to start your first batch. I hope you have also received your scoby Lori – I have mine and have already made a batch – now onto the second! And yes, it was nicely packaged with enough liquid, a great full colour recipie and instructions! I’m still working at getting bubbles – no bubbles iwth my first batch! Just like water kefir, add some fresh fruit like rasberries or even dried like raisins. pineapple makes lots of fizz. puree some pineapple and add about 3 or 4 tablespoons to your second ferment. you should get plenty of fizz!!! they will send instructions. I think its going to be dehydrated, which means first you re hydrate it which also will make the starter tea you’re asking about. The 2nd batch after the re hydration is the first one you drink. We DO NOT recommend dehydrated SCOBYs as they’re prone to failure. Hi! This is a well written article, I was pleased to see my article on Elephant Journal about jun linked from the get go, but ABSOLUTELY shocked you recommend a 2nd ferment in flip top bottles. I recommend a 2nd ferment using an airlock in a carbuoy and once bottling, keeping refrigerated and hiccuping every few days, SEVERAL people have experienced jun bottles exploding on them even after kept in a refrigerator and hiccuped frequently. When Herbal Junctions ships they use plastic bottles. Jun doesn’t need to be considered sacred to be enjoyed, but its rare enough that it IS considered sacred and it is so superior to kombucha in jing baby! keep it alive! all you have to do is ferment it for 2 days in a flip top bottle, burping it the first day and the second, then into the fridge. im sure if you are fermenting it longer, you could have problems, but i have never had one burst and i frequently use pineapple, which seems to be the “fizziest” fruit. just make to leave plenty of room in the bottle. for example, in a grolsch flip top bottle, you have the fat part of the bottle and then the neck. i dont fill the bottles up much into the neck, leaving a good 2 inches of neck without liquid. just my experience. Are the health benefits basically the same for Jun tea as they are for Kombucha? I’m very new to all of this and want to learn and understand as much as possible. Thank you. Yes, the health benefits are comparable to kombucha. Jun is higher in lactic acid bacteria. i was wondering that too. since water kefir is way less sour and “cultured” tasting than regular booch, does it have the same amount of probiotics as booch? Wow thank you for sharing! I’m hoping the Kombucha Kamp ships to Canada, I’m going to get on this. I make a lot of ferments with herbs and really enjoy them. Which green tea do you use from Mt. Rose Herbs? Great article! I got a Jun Scoby from my cousin, and my daughter and I have been loving the hotel. My only problem is after my 1st successful brew, the subsequent brews have not been “bubbly”? I am not sure what I am doing wrong? Could it be my flip top bottles are not sealing properly? I also have been letting them ferment the first time for 10-14 days because that is the instructions I was given from my cousin who has successful batches every time! Kerri – I think the issue is that you’re brewing the initial batch for too long. It should brew for about 3 days. My first several batches were a lovely bubbly, then last few batches are very low bubbly. Change in honey, both were raw and I’ve been very careful of the temperature. Any suggestions to bring the bubbly back? I’ve found the scoby to be adverse to changes. In having to get a different supply of honey the fermentation process was very minimal, and after several weeks and batches, the fermentation has returned. My good friend Ida says we all need time to adapt to new situations as does the scoby. Bubble on!!! I wonder how the anti-bacterial elements of honey effect the fermentation? like, would it be stronger if it were made with maple syrup or another liquid sweetener? Jun is traditionally made with honey, and should be made only with honey. While honey does have antimicrobial properties, when diluted, honey will not adversely affect fermentation. If it did, mead, tjej and other honey ferments wouldn’t be possible. Stick with honey on this one. Would you please tell us more about tjej? You refer to it as a honey ferment but doing a google search does not help me know more about it. Sure! I can piston it. It’s a Ethiopian honey wine. Do you flavor it during the 2nd ferment the way you do kombucha? I haven’t yet, but I’m planning to try raspberry as a flavor sometime soon. Can I use a kombucha scoby to make jun? No. As I mentioned earlier in the article, the microbial structure of both jun and kombucha vary considerably. In order to make Jun, you should acquire a Jun culture. The difference between Jun and Kombucha is similar to the difference between villii and fil mjolk: they’re both cultured dairy foods, but their flavor profile is different and so is their microbial structure. help! a friend gifted me a jun culture. it’s in great condition so i fermented it (so i thought). it sat for the requisite three days and i’ve now emptied the culture and some ‘brew’ into another container. it’s flat,jenny. am i waiting for the second ferment to make it fizzy? where have i gone wrong? i’ve googled for a bit more detail and have found nothing. also,i put a mason lid on the jar i used and not the mesh cloth i see so many people using..what say you? i want to make this pretty thing.. If you covered your tea with a mason jar for the first ferment that may be part of the problem. I haven’t brewed a jun tea yet but it sounds quite similar in process to kombucha. The kombucha (and so it assuming the jun as well) requires air to ferment properly. By using a solid lid they probably were not getting the air they needed to do their thing. Try it again with a cloth or paper towel rubber banded over it and see what happens. And then it should be SLIGHTLY fizzy. To get it MORE fizzy requires a second fermentation which you do in a closed container (and a mason jar MAY not be the thing as they are designed to hold a vacuum inside rather than increased pressure, try it and see!) which allows it to push the carbon dioxide (which is a natural by-product of the fermentation) into solution and make it bubbly! I’ve been brewing my jun for a week, and it has a milky film at the top and my jun is at the bottom and I think maybe it’s molding? Does that happen? Should I throw it all out?? I’m totally bummed out , but don’t want to waste such an awesome thing. I’m trying this for the first time and have 2 questions. First, I’m on day 3 and I see I have another culture that is floating lower in my container (under the original one). Can I use that one to start another batch ? It’s not as thick as the original one so I’m not sure if it can be used or do I throw it out? The second question is about flavoring the tea . I wanted to add blueberries or strawberries. Do I just mash up a few fresh berries and put it in the bottles used for the 2nd fermentation ? How much/many would I use? Can I use juice? Thanks so much. I’m really having fun with this and want to get creative but I’m not sure what I can get away with and what would ruin the tea. Did you get this to fizz? I’m brewing the second batch – still a newbie! Looking for any tips & tricks for fizz as my first batch had no fizz, even after a second ferment. I have a healthy scoby (a BIG new one forming now – yeah!! ), and I”m using GT bottles with Komboucha Camp’s awesome multi-use lids. The first batch brewed 3 days, tasted good, so I bottled it. No fizz in the second bottling after three days. Second batch is on day 4 so far. It’s at about 68ish degrees. I’ll let it go a little more ….. I’m really hoping for a little fizz! I am brewing Kombucha on same shelf as Jun, inches away from each other. I use open top jars not closed continuos brewers. Does anyone think that the cultures may cross contaminate via the close proximity? Thoughts? I thought the flavor of my Kombucha changed slightly after starting to brew Jun. I’m not an expert by ant means but I can tell you I had water kefir grains on the same shelf as my kombucha and they cross contaminated. My kefir grew stringy scoby! Read somewhere to keep ferments at least 4 ft from one another. Jun is so special I brew it up in another room! Since kefir doesn’t need oxygen, you can ferment it anaerobically (in a closed container). That would greatly reduce the likelihood of cross contamination with the aerobically fermented kombucha, even if they are right next to each other on a shelf. I do specify to cool the tea. Read the recipe thoroughly. And you should add the honey to the WARM tea so it dissolves easily. Honey is not a significant source of beneficial bacteria. This is my new go to beverage. Don’t get me wrong, kombucha, I will not forsake you, but jun, you are a new best friend. Thank you so much Jenny for introducing us! LOL. Thanks for educating us all on Jun. It has been well recieved in our house. The kiddos like it better than Kombucha! Do you think Jun could be done in the continuous method? Can fruits and flavoring be added to Jun during the second ferment? Heather , I have added fruits during second fermentation (blueberries, strawberries, black cherry juice and strawberry & lemon together ) with great success! I was here too to ask about continuous brewing. I haven’t been able to find any information on doing it with Jun, but I would love to try it ! I am LOVING Jun even more than Kombucha . Any luck on finding information re: continuous brewing of Jun? I much prefer the continuous method but I too have been unable to find anything. I imagine it wouldn’t be too different from continuous kombucha as long as you allow for the extra fermentation time? If anybody has tried this, please let me know! I’m somewhat new to fermenting Jun. I’ve just made made my fourth brew. I guess you call that a continuous brewing. I see people asking if you can do that. It seems the answer is “yes”. Also my scoby seems to make a baby scoby or two with every brew. Am I just lucky there? Anyway, we love Jun and I am amazed how easy it is to make. I wondered if it has to have a sweetener or will it work honey/sweetener free? Hi Barbara, It absolutely needs the honey. You cannot make Jun without sweetener. The Jun mother is a living thing, a colony of live bacteria and yeast that ferment tea and honey. Without sweetener, they will have nothing to eat, will die and cannot make Jun tea. The sweetener is not for you, but for them. Think of it like you think of feeding a pet. Your mention of praying with Jun reminds me of Dr. Emoto’s rice experiment. Easily Googled, but the idea is that with three jars of rice he spoke to one positively, one negatively and completely ignored one for a period of time. If the results he reported are at all correct, then maybe a good idea to pray with your jun! Emma Blue scared me with her warning about exploding bottles. If you use an air lock, wouldn’t that let all the fizz out? Also, can you continuous brew jun tea? I am very interested in brewing jun. Yep – an airlock will take the fizz out. I’ve never had a bottle of Jun explode, and never a bottle of kombucha (though it does happen). With a flip-top bottle, it will usually force the top to flip, instead of shattering the bottle. It is rare, rare, rare, but does happen. I’m absolutely loving your book. It is beautiful and inspiring. I respect your refreshing philosophy on food. And of course, the recipes are fantastic; made some herbed cheese the other day and it was delicious on homemade pizza. I received my jun scoby a few days ago from Hannah at Kombacha Kamp. She provided a wealth of information in emails and a little directions pack with my order. I plan on continuously brewing my jun. I also plan to flavour some of my bottles with ingestible essential oils for increased health benefits. We will see how it goes. I am just getting started with Jun, but would love to start adding flavor story the 2nd ferment. Essential oils would be a great idea! Which ones were you thinking? I just finished the second ferment with lemongrass oil. It tastes pretty good! A little goes a very long way. Tangerine would be wonderful, I think! I’ve noticed more carbonation in jars that I’ve added sugar (dried cranberries, pure blueberry juice, lemon and ginger). I got a baby from the first brew and am going to experiment in a new jar with flavoured green teas like cherry rose sencha. We’ll see how it goes! I’m brewing my second batch of Jun, it’s been brewing for about 3 days now and I have started drinking it. Today I noticed a Scoby forming. Do I just leave the Jun alone and wait for the scoby to finish forming or can I continue to drink the Jun? It is still relatively a secret so i hope to integrate Jun into my repertoire post haste! Emma Blue, thanks for the information. I appreciated the warning about exploding bottles — and yes, one can lose an eye from flying glass! It sounds like it’s very uncommon, but I appreciate the information to take precautions! Apparently Emma Blue has seen or heard of actual incidents of this, the information from Jenny doesn’t jive with what she knows to be true, and to my mind she was just putting this out with useful precautions! I also thank Jenny for all this useful information. I find that certain groups of people have such a low tolerance for genuine response and controversial information! If Emma Blue was shocked, then you can just ignore it! She was not attacking Jenny, but simply informing people of her experience and her genuine response and useful precautionary information. I’d say if someone feels so compelled to be harsh and judgmental towards a response like that, and rush to defend the supposed victim, then that person needs to do some inner work on allowing free expression and letting go of her superior attitude. One of my bottles exploded but it was an odd shaped bottle. Much wider and about an inch in depth. All the others I use are round or square. Do you have any idea if the residual sugar content typically is less or more with Jun vs. Kombucha? We are on a very low sugar diet. Thanks! Thanks for all the great info . What green tea from mtn. rose do you use? I just brewed a new large batch of Jun, it’s been brewing for 3 days, but it tastes like vinegar…what am I doing wrong? I brewed a baby one too and it does not have this problem. jun likes cooler temperatures than Kombucha. If it is too warm, it will turn vinegary very quickly. Try to find a spot where the temps don’t go over 75 degrees. How is Jun different than water kefir? It’s light too and I prefer it to kombucha. As with all fermented beverages with a starter- when do you decide it (grains)have reproduced enough that you can divide in half and have another batch going at the same time? Hello and thank you for your informative site. I am writing to you from Iran. We managed to buy kefir grains a few months ago and it’s magnificent. But the only SCOBY that I could find for sale was Kombucha. They do not seem to offer the Jun version which works with green tea and honey. Can I buy a kombucha scoby and accustom it to the new diet of green tea and honey? I will be most thankful for your help. Hi there, I’m from South Africa. I was not able to buy a reliable Scoby from anyone here and our post office doesn’t work. I eventually got one by brewing from a bottle of kombucha I managed to find. Since then, I have switched to making Jun – but I make it with ALL types of tea – typically pomegranate and also fruit and herb, always organic. The scoby adapted well, and I have tons of babies – I get one every time I brew. It’s much lighter than the Kombucha, tastes a bit like mild cider and is consistently slightly fizzy. I brew for one to to two weeks, and the results are delicious. I usually throw in a green tea bag as well, but not always and it works beautifully either way. I always filter mine through two or three layers of muslin – much quicker than a coffee filter, and I sterilize the cloth inbetween. And the Scoby is a beautiful pinkish colour from the pomegranate. Add fruit afterward, don’t, it’s all up to you. I have also washed my scoby in filtered water (I stored it for a long time and had a bit of brown sediment on it), and it was fine. I keep babies in a zip lock bag laid flat with half a cup of the Jun because friends always want one. Can’t get a Jun scoby here either. You gotta what you gotta do. Just get brewing! Hi I live in Perth WA and have just today got given a Jun culture which I would happily give you a baby when available. Which state are you in? I live in Perth too and would love to start brewing Jun. Do you still have a culture available? My name is Alexis & I live in California. I just stumbled into Jun tea . I always drink green tea and would love to try my first Jun tea. If you have any new Jun babies coming up, I would be very grateful to receive one. Please let me know & have s wonderful weekend! Kombuchakamp.com sells Jun Scoby. It cost more than other Scobys”. At Cultured foods for Life is a recipe to make Honey Jun Tea from Kombucha. Using the Kombucha starter. So, I bought my Kombucha starter ( Scoby) from Cultured Life as it is the lowest price. I haven’t started it yet. 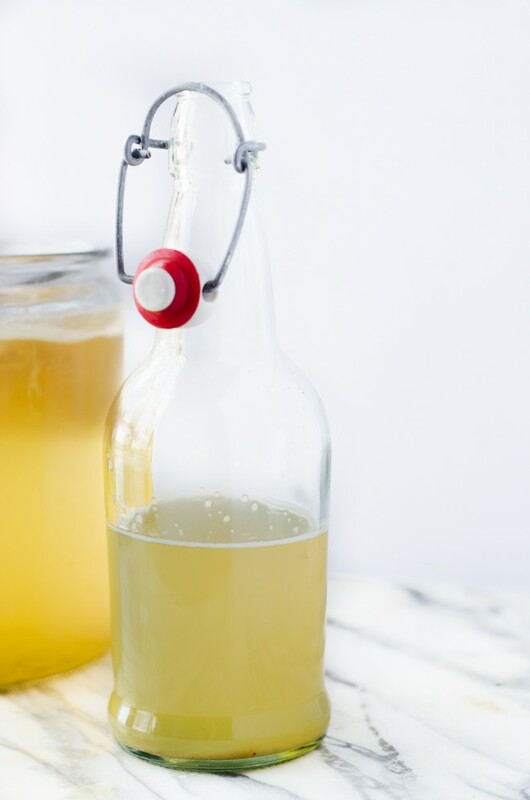 We do not recommend using a dehydrated scoby (https://nourishedkitchen.com/kombucha-brewing-mistakes/) as they are prone to failure. 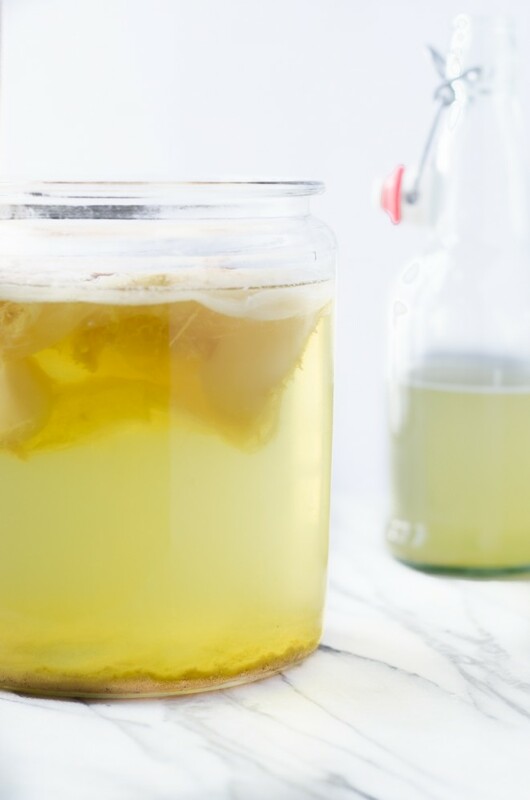 Also, you should not use a kombucha scoby to make Jun tea, as Jun SCOBYs and Kombucha SCOBYs have different bacterial strains evolved to their specific substrates. My honey has crystalized, can I still use it? yes, it is still perfectly good. Hello there Jenni. I was wondering what other tea can be used to brew the jun? I have been brweing with gunpowder greentea and I would like to experiment with ginger green tea. Would flavored green tea damage the jun? Any information from you guys is welcome? Thanks! I think any green tea should work, though I’d be careful of using flavored teas and would, instead, add flavoring to the second ferment. I was so intrigued with your Jun article that I ordered a culture from Kombucha Kamp right away. The first brew (using Hannah’s special Green Goddess Tea sampler) turned out like pure ambrosia–heady, fizzy, with a lingering honeyed flavor. It took 7 days to get it fully fermented, and it produced a new scoby. For the second batch I used some organic green tea bags I had on hand–and after 7 days I tasted it (Kombucha Kamp said to ferment for 3-7 days) and it was pure sour, with a very different (and not pleasing) flavor, but had produced another new scoby. Now the third batch I wanted to catch in that “honeymoon” period, so I tasted it at 3 days–too sweet–and let it go another 2 days, but by then it just had a faint hint left of that initial Jun ambrosia that I so loved. Do you think that the variety of green tea I’m using has made the difference in flavor? I’d like to get the brew back to that wonderful tasting elixir that I started with. Why heat water to 165, and not to a boil? Another set of instructions I have read that say to boil it for 2 minutes, then make a tea and cool. Also, some recommend as much as 5 tea bags per 8 cups of water rather than 2. It’s funny, instructions for this brew vary much more than they do for kombucha…which are pretty consistent. Would appreciate any comments! 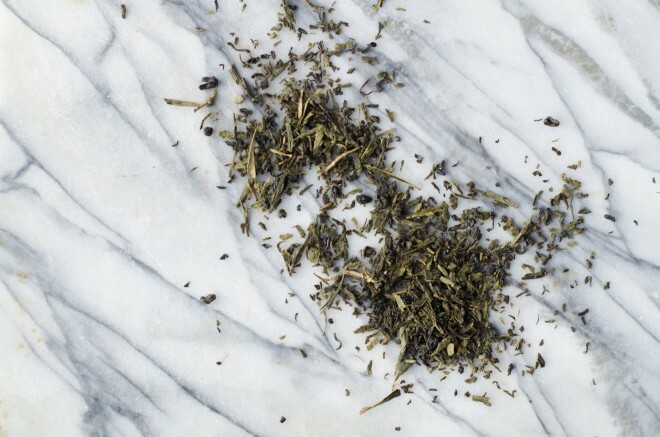 You shouldn’t brew Green Tea above 165 because it damages its flavor. Just wanted to offer some information on the temperature of the green tea brewing. The reason why the water shouldn’t be boiling when making the tea is that it destroys the polyphenols in the green tea. This is what the Jun needs to feed on. The Japanese know that and they never pour boiling water over their green tea. I hope that helps. I have also been told(not tried yet) that any tea highnin polyphenols will feed the Jun. Know someone who tried Hibiscus tea which has ahigh content. Once I have enough scobies I will give this a go. Yhanks for a great website. I have brown bottles, can I use them for the second brew instead of clear, will that be a problem? Thank you for this article I am looking forward to ordering my scoby. Will the lack of light be problematic when using dark glass for the second brew? I only store my fermented tea in brown bottles w/ caps they work amazing. What is it in honey that feeds the Jun culture? I don’t eat honey, but am interested in trying Jun. Would the honey substitutes made out of concentrated apple juice work? Or is there some special ‘something’ in honey that nothing else can emulate? It needs to be honey. The culture has evolved to feed in honey. In all fairness to Tammy’s comment about when to add the honey, I read your instructions ” thoroughly”, and you did not say to cool the tea before adding the honey. You tell us to cool the tea after you have told us to add the honey. Also, honey does contain up to 6 species of lactobacilli and 4 species of bifidobacteria. Lastly, Jun has been found to be an anaerobic culture. Unlike Konbucha( needs Oxygen to thrive), Jun likes a closed environment. An airlock system is excellent for brewing Jun. I’m on my 3rd batch off jun and I can’t seem to get the 2nd fermentation to be fizzy. It’s slightly fizzy. I have followed the directions exactly. It tastes sweet and delicious just no real fizz. Any advice? what is this specialized himalayan fermentation book ? BTW I just bought your book!!! It is now my favorite cookbook. I love how informative it is and the color photos of your food looks so delicious; makes me hungry. My question is: I just bought Jun scoby and have started 1st fermentation. It’s been 3 days and it is very bubbly. It has an inch of bubbles on top of the surface of the jar and continues to bubble away. I can’t tell if a baby is forming or not. I dipped a straw into the liquid to taste and its fermented a little like alcohol. I don’t taste the sour. Is it suppose to be this way? or has it turned into mead? Should I continue to let it ferment? Can I drink Jun Tea while pregnant? I find your recipe very strange compared to the way I was told to brew my Jun! I received my strain two years ago and was told to use 4tsp of green tea and 1 cup of raw honey to 8oz of water. I also add the honey in after the tea has cooled down to almost room temp so as to not lose babe benefits of raw honey. The biggest difference is that my first ferment goes for at least ten days. I would have nothing but sickeningly sweet tea after only three days! * the benefits, not babe benefits (auto correct). Also, I live in southwest Michigan for anyone who needs a SCOBYS. I have a lot! Is it Jun SCOBY’S THAT YOU HAVE??? Do you have Jun scobys? I would love one, I live in mid michigan, Gladwin/Beaverton. I would pay postage, Thanks! This comment was directed to Jarrod, sorry. Are you still producing SCOBYs? I am trying my hardest to find a genuine Jun SCOBY.. I have only been able to locate Kombucha turned Jun. I will pay you for one if you don’t mind shipping it. I too am in Michigan. Where did you get your Jun SCOBY from originally? I live in Bulgaria and would like very much to get a jun SCOBY. We have kombucha here, but no jun. Is there any one willing to send me a dehydrated SCOBY? I use PayPal. Alternatively, if you know a source that ships to Bulgaria, please let me know. My email is a_friend116@hotmail.com. If I get one and manage to reproduce it, I will spread it here. I like gifting water kefir to people and am planning to start making ginger beer using the ginger beer plant and hope to spread it in this country for the good of everybody. I got a scoby from a friend the other day and made my first batch last night. Added the honey to hot tea, let it cool until it was neutral to my touch (not exactly warm, not exactly cool) . Dumped the scoby in with some of my friends brew that it had been chilling in. Covered with a cloth. This morning, the scoby is still submerged, I barely notice any sour smell, and it hasn’t grown. My friend says this is all normal. I just have lingering thoughts that I ruined it somehow. Can anyone clarify? Morgan, I did the same process a few days ago and am also wondering if I ruined the Scoby. How did your Jun turn out? Hi! I’ve been brewing kombucha for 3 years and recently switched to brewing Jun tea. Very much want to be in a group of Jun brewers to learn more. Find me on Facebook or LinkedIn and we can set up a group or let me know how to join your group. I’m already in the LinkedIn Kombucha group so you can find me there. fyi I live in Lakewood, Colorado. Anyone using the continuous brewing method for their Jun? I use this method for my kombucha and it reduces the threat of contamination as you don’t have to touch the scoby for months. Anyone had any experience with Jun. I have been fermenting Jun for about three years now. Many of my friends have been as well and I can confirm that bottles explode, especially the warmer it is, the longer it sits in the bottle and if there is an excessive amount of honey to “eat” when bottled for second fermentation. It happens and it can be dangerous and scary (especially if it happens in the middle of the night)…it’s not worth the back and forth that this topic has caused…but enough of a precaution. Hi i have been making kombucha for a while now and have been reading about Jun tea and am very intrigued!! I would love to get a jun scoby. So when I do does anyone have a clue to weather or not I can use matcha green tea? I don’t buy green tea but if I have to i will. I wonder if it would be worth attempting. Any info would be greatly appretiated. I’m waiting on my first Jun scoby and was wondering if I could use decaf green tea ? Can’t wait to get started! I think you probably could. Help!! I brewed Jun almost 2weeks ago but it’s still under a cloth towel, not in bottles. What do I do next?!?! I only ever brew my jun on raw honey. I add the honey when the tea is back down to room temperature so as not to destroy the benefits of the raw honey. I wonder what is the nutrient profile of Jun? How does it compare to kombucha, what type of fermentation is it…yeast, bacteria? Sounds interesting…love fermented stuff. I would also be curious to know the carb sugar content of jun tea vs kombucha after fermentation and second ferment…approx six days total? Would love input from someone who has done an analysis. Love my jun tea. Have chosen to do a regular brew concentrate then adding cool water and then mixing honey only after final diluted brew reaches below 90 degrees. Trying to retain the healthy properties of the raw honey in the brew. The nutrient content can be figured out by calculating the sugar content in 1/2c of honey which is approximately 109grams. Then divide that by the ounces of tea brewed (64oz) An 8oz glass of Jun tea ranges from 10-16g of sugar depending on how much water and honey you use in each batch. I have been brewing my Jun tea for 6 months continuously and and have given 6 daughters away and kept 2 batches brewing weekly. Now that the temperatures have warmed, my brews have been less fizzy. I plan to ride this out and brew the first batch 4 days rather than 3 and then keep the second batch at 3 days. I use swing tops and have to burp them daily due to the pressure build up. One actually exploded on my son as he opened it, but it was like a champagne bottle and the tea reached the ceiling and covered my son..no harm. I also have used hibiscus infused tea bags in with my green tea on the first batch and it tastes amazing with a few raspberries added to the second batch. Hope this helps! I have two jars of honey that have crystalized, is it still okay to ferment with these. My brother is a bee-keeper . . . he instructed me on how to re-liquefy crystalized honey. Heat your honey Jar in warm water (no warmer than 104 degrees) until it liquefies. You should stir honey occasionally to distribute the heat and keep it from getting too hot in some parts of the honey jar. If you do heat the honey to a higher temperature , it will begin to kill the beneficial enzymes in the raw honey and it will also loose some of the wonderful aroma unique to any honey. Enjoy!!! My Jun honey/tea went from cloudy to clear….the scoby in on the bottom resting on some “residue”. Is my Jun dead???? This stuff is awful. It’s like vinegar. I suppose that if your water source is poor, that is, barely potable, this would be a great way to get fluids. I have been brewing jun for a few months now, and today I went to make a batch and discovered fruit flies inside my jar – drats! I scooped off the first two jun SCOBYs and recovered the one on the bottom, rinsed it in cooled boiled water and put it in a jar. I got rid of the contaminated SCOBYs and threw out the starter tea – so, can I make a new batch without any starter tea? If not, is there anything else I can use to acidify while I try to get my culture back up and running? I may have to try making my own Jun. We recently were able to purchase some from the farmer who provides us with many other items, real dairy, pastured meats, etc. Was completely disappointed in that the Jun, flavored with berries tasted just like drinking straight vinegar. Nothing gentle about it. HELLO! does anyone know the correct PH Jun should be sitting at to bottle? I know that PH is important for Kombucha bottling and strictly check mine, but Jun is a whole new ball gam,e for me and with my first 30 litres looking ready to bottle Im hoping for some extra knowledge! Any appreciated. THANKS! Hi Jenny, I am getting a Jun Scoby however I am unsure if it is safe to brew Jun tea with honey. I do understand raw honey must be used as this is what the bacteria have developed to break down. My confusion/query relates to the risk of botulism through using honey to ferment the tea. Can you please explain why this tea doesn’t pose a risk for the toxin? Many thanks. Hi Emily! Fermented foods like Jun are too acidic to support the growth of botulism. Hope that helps. Can plastic bottles, such as those used for water or honey be used? Hi there. I live in New Zealand and would love to give Jun a try – anyone local got a Jun SCOBY? I have just bought one from trade me, It arrived today, I can’t wait to taste it! Jun (俊) also used as Joon, June or Chun means “talented” in Korean hanja so maybe just maybe it actually has origins in Korea… Just a thought ???? My sister gave me a kumbacha and a jun scoby. My first try at the kumbacha went south because I apparently let it go two weeks instead of one week. My jun, on he other hand, is really nice. I used a pomegranate green tea, though I read later oils from flavored tea is bad for the scoby. Both batches had formed a layer of something over the top, on the surface of the tea. What is that? Is it a protective layer or is it something else? will be? Many thanks for any help! I attended your workshop at SUNY Cobleskill, NY. It was amazing to me to see/hear of the various things you can ferment and the benefit of them. My question is concerning the balance of bacteria/yeast in Jun Tea. Is it possible to have one over run the other? with possible bad health effects? or as long as it tastes good is the balance ok? Comparing Jun Tea and water Kefir – is one better for you than the other? Benefits different parts of the digestive system? thanks for this very interesting article about the “Jun Tea”! Does anybody know about about someone in Germany who might have a Jun culture? im wondering why kombucha camp charges so much for their scobys, jun or otherwise. they list their jun scobys at almost 40 bucks, while i have already found 4 of them online for less than 10. and that is for fresh scobys with the starter liquid, not dehydrated. I’ve acquired a JUN scoby and am having problems getting my honey tea to produce anything that isn’t sweet honey tea! Even after 2 weeks too sweet. I’ve a lively scoby – keeps producing Scobies on the surface – but if disturbed these sink, so I’ve about 4-5 thin Scobies in the jar. I’ve tried adding pine pollen. Keep it cool and in the dark. I am using supermarket organic honey, not raw. Is the honey my problem maybe? What ratio of reen teabags: honey: water is best to get this going. Can you advise how long the Jun Tea can remain bottled in the fridge please? And, once it’s refrigerated, does it still need to be “burped” daily? I received my Jun culture today from Kombucha Kamp and the directions state to remove the chlorine from the water! This may be one reason why folks are having trouble. Directions state to remove by boiling the water for 10 minutes or, by leaving sit out overnight. Do you remove the chlorine? I’m on my third brew of JUN KT and I switched from my usual bottling method to an wide mouth opening mason jar. After the second fermentation, I noticed a brown bubbly film on top and it taste sour. What did I do wrong? The Mason style jar was 3/4 full and I burped it the day before. Help! Can I make jun te by using a kombucha scobie but just change the sugar to honey? I already use Grn. te. Hi Darla, No. We recommend you buy a jun scoby. 1- the green tea seems weak in the recipe- not much flavor at that temp and only 2 t. Has that been your experience? 3- I didn’t see a baby jun scoby form but it looks like it thickened (2nd layer) and is sitting on the bottom for my second brew. 1) If the tea tastes “weak,” it’s likely that you’ve never enjoyed green tea brewed correctly. Green tea served in most restaurants, coffee shops etc, is brewed at too high a temperature and for too long, which makes it strong, but also makes it bitter and tannic, and you lose the very subtle, light, but deceptively complex aroma of green tea. Because tea is served commercially oversteeped, overheated and overbrewed, this is how people learn to make it at home, which is a shame. Best, to brew it correctly (as in this recipe) for the best flavor. 2) It really is that pleasant! Lightly tart and delicate. And the fizz comes into play in the second ferment, provided you’ve kept the bottle sealed. 3) Jun forms its babies very slowly, by comparison to kombucha, and it sounds like yours is fine. 4) Just remember never to refrigerate your jun scoby. Hi, I have both and prefer Jun over Kombucha. My friend, who is vegan, has Kombucha but would like to try Jun but it contains honey, so she wont. My question is can it be made with an alternative to honey, such as Maple Syrup, Agave, or similar? Nope. Only honey. Read above – explained in more detail. Someone had to create the first Jun SCOBY. So, there must be a way to start a culture. I read the first hundred or so comments, but saw only “you have to buy one.” Anyone created their own culture from scratch? I may just have to try it on my own. Hi Scott, I was just wondering if you were able to start a Jun SCOBY?? I have many allergies one being sugar, so I think that I need to try and start one on my own. Any help would be greatly appreciated now. We don’t recommend attempting to start your own scoby as you will have more success when you purchase (or otherwise acquire) an established scoby from a reputable source. This is not a place you want to take shortcuts. I understand the alcohol content of Jun is higher than Kombucha. What % on average would you say it is? I’ve heard reports of 2-3%. Is there a way to get it a bit higher? I have a jun scoby but I want kombucha. If I use black tea and sugar with the jun scoby will it work? Kombucha and Jun have different microbial compositions and have evolved on different substrates. We recommend purchasing (or otherwise acquiring) a kombucha scoby if you wish to brew kombucha and a jun scoby if you wish to brew jun. I used store bought honey, not raw. Will this kill my scoby? Store-bought honey is almost always raw, so you’re probably fine. I have been brewing Jun for over a year now. No problems for me ever. But, Jenny can you please elaborate as to how much sugar content is left after a successful Jun brew. I read several people ask the question in the comments. But no real answers. I highly doubt a finished bottle of June has a high sugar ratio because the honey is really food for the SCOBY. I don’t think the person who said calculate grams per bottle etc is correct. Can you please help us and expand on the residual amout of honey left after fermentaion. Thank you so much. That’s a good question, with a complex answer. How much sugar is left after brewing is dependent on too many factors to give a blanket statement; among them, the temperature at which it brews and the length of time that it brews. In order to determine an answer, you’d have to test each individual batch. Suffice to say the longer it brews (and the warmer temperature at which it brews), the less sugar remains. On a philosophical level, I object to the idea that everything about cooking and food needs to be quantified. A general rule of thumb is that if it tastes very sweet, a lot of sugar remains, and if it tastes very sour, less sugar remains. Hi! Do you need to add honey to the Scoby hotel ever? And is it okay to remove the brown yeast/strings that form around the scobys? Hi Alyse. No and no. I’m on my second batch of Jun. What do I do with the ‘stuff’ that settles to the bottom of the gallon jug? Throw it away? Save it for a hotel? I’m not sure what stuff you’re referring to. Is it sediment? A fallen scoby? Can I use another kind of tea? Like Camomille? No, you can’t. It needs to be real tea. I have never brewed Jun or Kombucha before. We prefer the Jun & are considering attempting a batch. I have some sturdy 16oz glass bottles with twist-off caps. Can they be used, rather than the flip-top bottles? Yes, you can use those if you prefer. sooo can I start a jun scoby from a bottle of Kombucha? What is the best method to flavor my tea? For example, id like to make a blueberry basil tea. I recommend you check out this book: Big Book of Kombucha. Jun won’t always produce a baby, but as long as it smells and tastes sour, it is culturing. 2 tsp tea not a very accurate measurement, how many grams? Also are we to add cool water to the 8 cups of green tea to make a gallon like we do with kombucha? Really only steep 2 minutes? If adding cool water to brewed tea were necessary, it would have been included in the recipe. And, yes, two minutes for the tea with reason outlined above. Hi Gina, 2 teaspoons is an accurate measurement and what you should use in measuring tea for this recipe. I have been brewing jun for a few years and, although I loved kombucha, I really adore jun with its delicate and refreshing flavor. One suggestion I would make is to allow the green tea to come to room temperature before adding the honey so the bacterial content of the honey is not disturbed. Thanks for this wonderful description of jun, as you point out, it’s so difficult to find information on it. What you describe sounds like the pellicle forming. I can’t seem to find a clear answer to is the SCOBY used for Jun different than the SCOBY used for kombucha? Can you please explain this? Yes, it the scoby for Jun is different from the scoby for kombucha, as explained above under the heading “How Jun Tea and Kombucha Differ.” Further, they have slightly different microbial makeups. So a friend gave me a jun tea scoby and Ive made the green tea with honey can I put the scoby in once cooled to make a starter? I love the article but was wondering how to make the jun more bubbly in the second fermentation? I have tried a few different methods but it doesn’t seem to work. THANKS FOR PROVIDING THIS WONDERFUL, STEP-BY-STEP, EASY TO FOLLOW RECIPE!! I’ve been thinking about trying jun for a couple years now… I think this was just the push I needed to finally order the culture and see what all this “champagne of kombucha” fuss is about! I got a jun culture from my Mom and I just finished my first batch and it’s wildly sour and crazy fizzy. Did I just leave it too long? Would it be possible to start Jun with a scoby from a black tea kombucha? And black tea starter? And then as the process it will get lighter and lighter? No. As mentioned above, you should make Jun using a Jun scoby. I started a batch of Jun Tea exactly two weeks ago. My scoby looked healthy and came with starter, and I followed the package instructions. I’m storing it on a counter away from my other kombucha. The average temp is 75, it’s not getting direct sunlight, it isn’t drafty but it’s getting circulated air. I really want to bottle it, but I think I should just be patient. I’ve been tasting my Jun every few days and it has just now, after two weeks, started to taste slightly sour. There is still a strong honey flavor, and just the slightest bit of delicate white film forming on top. I’m confused because everything I have read about Jun Tea says it ferments more quickly than kombucha. Is it just taking longer with the first batch because it may be adjusting to new conditions? Also, does Jun form a new baby on top like kombucha, or should I expect there never to be babies? I couldn’t find where to ask a question, so I jumped on Betsy’s post. I think I read ALL of the comments (you certainly have a lot of patience Jenny)and I saw a couple of people ask if you can do a continuous brew with Jun, I did not see an answer. I apologize if you have already answered this question. Sometimes it’ll sink because it hasn’t accumulated much Co2. I was wondering if you could help me with my Jun problem…. I guess I let it go too long; and now every batch that I make is too sour. I let it ferment for 3 days max. ; have it in my dinning room; so it’s not too cold; neither too hot in there…so I’m not sure how to get it out of the sour mode. Any suggestions? Thank you for all the information on Jun! I am excited to try making it on my own at home! You make it sound super simple and straight forward. Definitely going to make it and report back how it turned out! what happens if u take a jun scoby and use green tea and sugar, rather than honey ? You will not make Jun. Can I make Jun with sugar? Fire recipe! I make mine with some cannabis sativa to give it a little, extra kick. I would highly recommend! I don’t think that would work particular well. THC is fat-soluble, and there is no fat in this recipe. Have heard/seen in other tea retailer both online and brick & mortar or books on tea, that the brewing temperature for green tea varies from 140F to 165F degrees. I know from my personal experience, since I am doing a 1st and extended brew, I use a lower brewing temp. Doesn’t the lower temp reduce the bitterness? what about a cold (at room temp) brewing? Since honey shouldn’t be given to infants due to botulism bacteria, and Jun being a honey based kombucha. What are the health concerns or recommendations? If you brew Jun at too low a temperature, there won’t be enough tannin development to support the growth of your scoby. No, you should give infants Jun tea. I also wouldn’t start them on kombucha until they’re older. My Jun culture has been sitting and fermenting for 3 months, i am unsure with how to proceed with it. Though my main question is, is it still safe to drink or to do anything with? In my experience, after 3 months of neglect, a Jun culture would likely need to be thrown away and would be unlikely to continue to propagate. Let the tea cool before adding the honey….at least to a warm temperature. Not the best thing to put honey into something that hot, as it changes the goodness of the honey..
No. Warming honey doesn’t change the goodness of the honey. I have a SCOBY on the top, but what is the brownish, floaty, unformed stuff at the bottom of the jar? Do I drink that, or strain it out? You can drink it or strain it out. The brown floaty stuff is spent yeast, and it’s got an unpleasant texture but it’s really rich in B vitamins. Thanks for posting this. I’m making my second batch of Jun tea, but after reviewing various “recipes” online, I’m a little confused as to why there is such a wide range in the amount of tea to be used. For example, your directions indicate 4 tsp. (or 1 Tbs) per gallon, but another recipe says to use 2 Tbs. of loose leaf tea for the same amount. Also, some recipes instruct brewing the tea for a much longer duration. I suppose there are different preferences in the taste of the tea, but I am concerned about creating an environment where the SCOBY can thrive long-term. I would really appreciate your insight on this. Thank you so much!